Restricted motion is often the cause or result of injury. To increase motion in the joints, the muscles need to be worked on as well. DeFalco Family Chiropractic has the chiropractic tools — and the knowledge of chiropractic therapies — necessary to hit your injuries from multiple angles so we can achieve the best results. Below is a list of chiropractic therapies that our chiropractic office provides to improve your health and address your injuries. 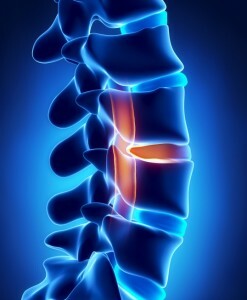 Learn more about the chiropractic techniques that we use at DeFalco Family Chiropractic to treat our chiropractic clients. There are various chiropractic therapies that can help clients feel and be better, and our chiropractic office is committed to making sure you receive the right chiropractic care for your body’s needs. Click on the chiropractic therapy of interest to you and your health condition to read our explanation of that particular chiropractic treatment. If you have any questions at all about our chiropractic services or the chiropractic therapies that DeFalco Family Chiropractic provides to clients, please contact us. We would love to answer your questions about chiropractic care! You can also check out our FAQ section explaining chiropractic wellness services, chiropractic therapies and general information about health and wellness. Dr. Francis DeFalco takes a holistic approach to chiropractic treatment so that your chiropractic care is specific to your body’s needs. Every chiropractic decision made by the chiropractic doctor is personalized and customized so you see the best results. All of us here at DeFalco Family Chiropractic are dedicated to seeing that your journey to overall health and wellness starts today, with the right chiropractic care.